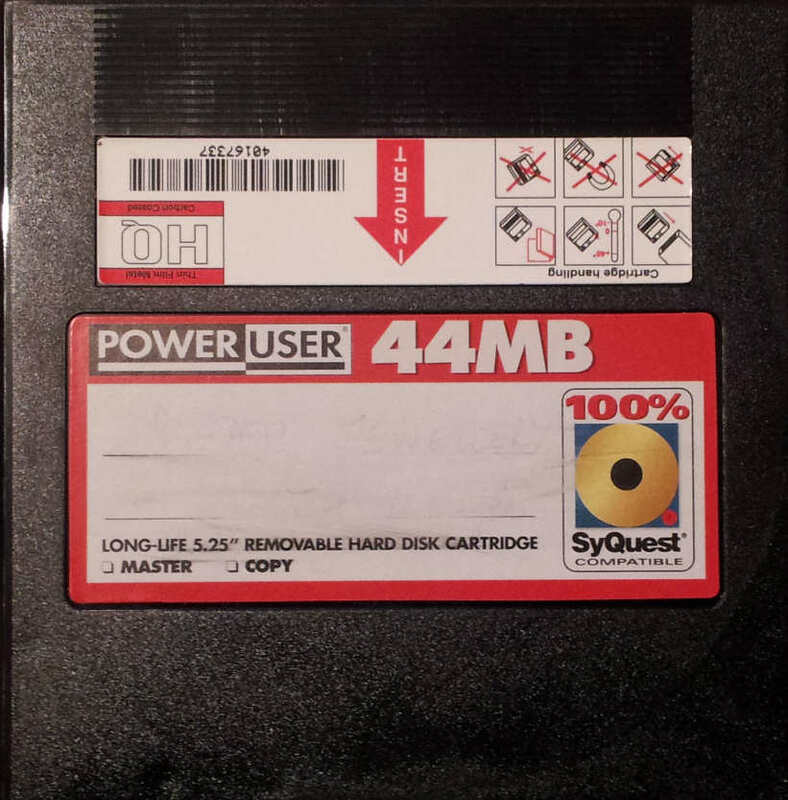 Power User 44MB Syquest Hard Disk Removable Cartridge. These Syquest compatible cartridges are not as reliable as the genuine article and we have seen quite a few starting to fail - one of them even damaged our Syquest drive. It is probably best to start transferring the data off these cartridges while drives still exist to read them! If you need a Power User 44MB Syquest Hard Disk Removable Cartridge service, then contact our friendly company. Power User 44MB Syquest Hard Disk Removable Cartridge. These Syquest compatible cartridges are not as reliable as the genuine article and we have seen quite a few starting to fail - one of them even damaged our Syquest drive. It is probably best to start transferring the data off these cartridges while drives still exist to read them!.